Kate Pond — “It wasn’t my real choice to be a sculptor,” says Burlington artist Kate Pond in the pilot episode of Vermont PBS’ “The Frog Hollow Green Mountain Artisans.” “It’s something that I think just came naturally to me.” Raised in Vermont, Pond has followed her creative instincts to forge a career that now spans nearly five decades and multiple mediums, from monumental works of Corten steel to breezy, joyful art kites. 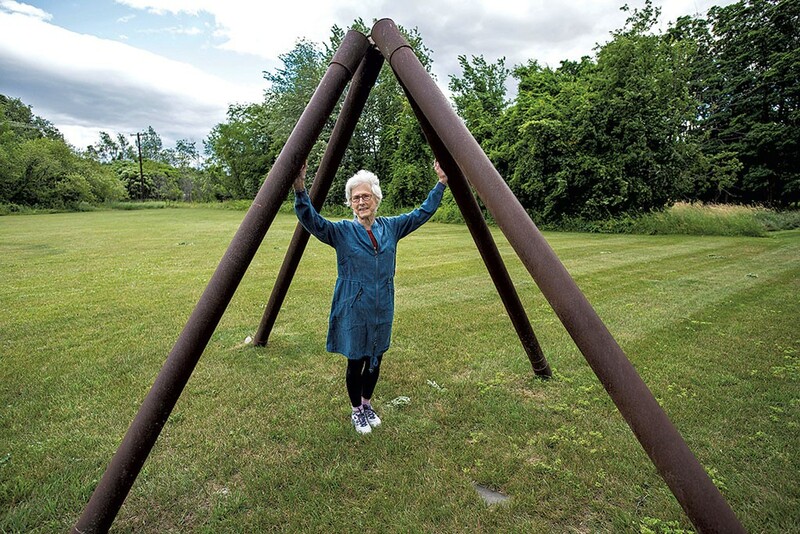 Her longtime fascination with light, nature and the cosmos may be best embodied by what Pond has described as her “life’s work”: the World Sculpture Project. That initiative has brought sculptural sundials and accompanying time capsules to sites across the globe. If you’re ready to connect to time and space closer to home, head to Pond’s “Come Light, Visit Me” at Champlain College.